We were gifted the CTEK D250SA and Smartpass120. All opinions are our own. For the caravanning or camping enthusiast power is often one of the biggest issues we face. Or more correctly, the lack of power. So when we were offered a CTEK D250SA and Smartpass120 Battery Management System we jumped at the chance to install it into our BT50. When we were initially setting up the BT50 I was talked out of a 40 AMP DC to DC charger as I was told the 20 AMP would be more than enough. Unfortunately it wasn’t. It didn’t handle our charging requirements well right from day one. 20 AMPS is just not enough to charge two big auxiliary batteries when they were being worked as hard as ours are. 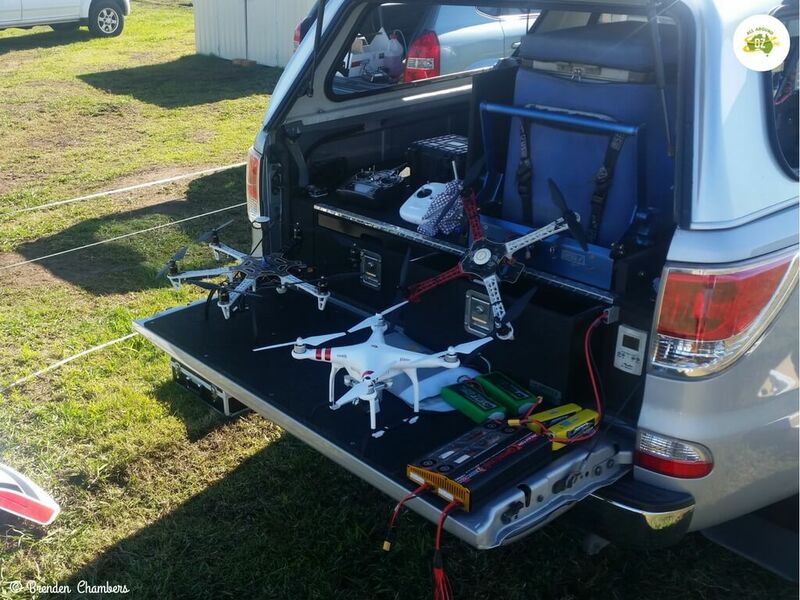 The CTEK system handles charging all our RPA batteries with ease. 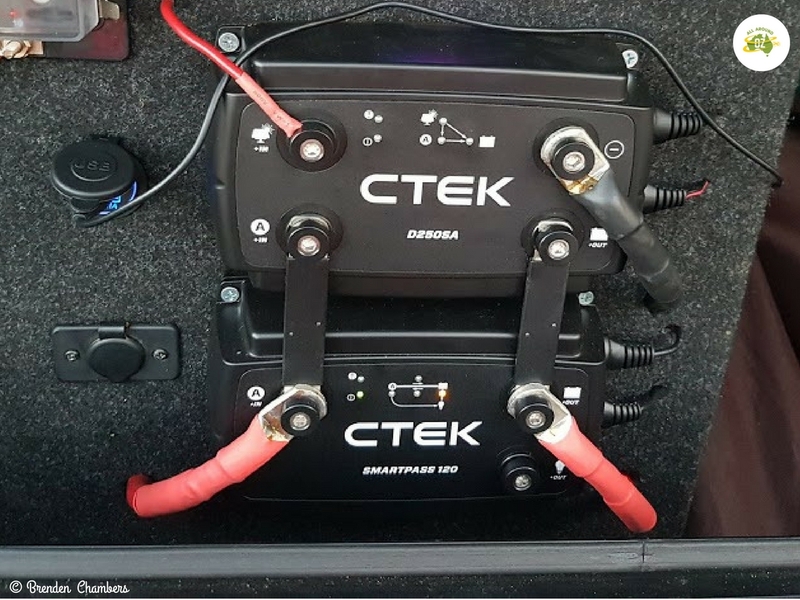 I had been looking for a better charging system for about six months before we were offered the CTEK system. I did a bit of homework, read the specs and asked around. And WOW – it looked like the CTEK D250SA and Smartpass120 were exactly what we had been needing for about the last 3 years! The D250SA and the Smartpass120 can be set up as stand alone units or linked together to take full advantage of their capabilities. The D250SA is CTEK’S latest 20 AMP DC to DC charging unit. It has a built-in solar MPPT (Maximum Power Point Tracker) regulator. It also has a battery rejuvenation cycle if the charger detects high sulphate concentration on the lead plates in the battery. This is the first step in a five-step charging process. The D250SA is smart alternator compatible and will charge your auxiliary batteries from either the alternator or solar panels or a combination of both if needed. 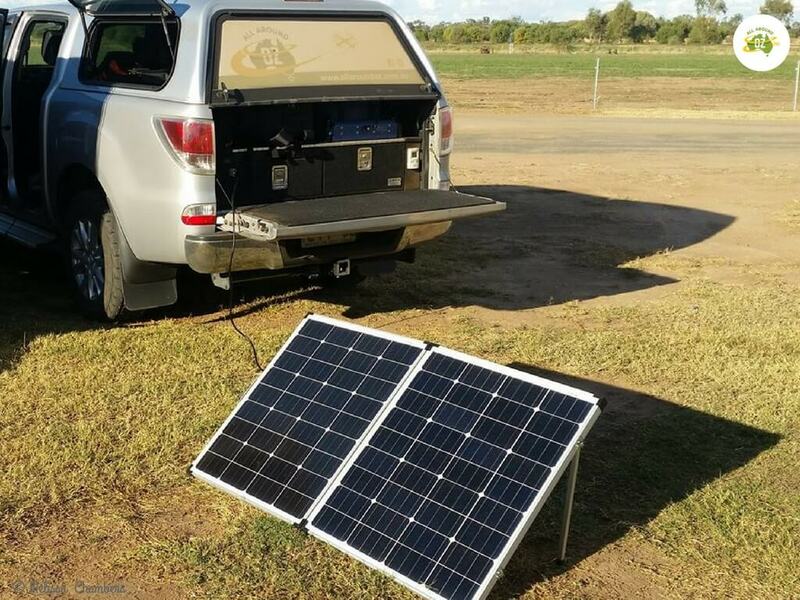 The CTEK Battery Management System can trickle charge the starter battery from a solar panel. It will change the charge rate depending on battery temperature. It will also trickle charge the starter battery from solar panels if needed. You can also wire it up for an AGM (Absorbent Glass Mat) battery. It will comfortably look after a battery bank up to 300 amp/hours. The Smartpass120 is an alternator charging system. It hooks the starter and auxiliary batteries together so the alternator charges both batteries. It has a 12 volt output for appliances that cuts out at 11.5 volts, for non-critical consumers. This prevents your auxiliary battery from deep discharge. The Smartpass120 automatically connects the starter battery to the auxiliary battery for start assistance if the starter battery is low. It will also trickle charge the starter battery from the auxiliary battery. It will handle up to an 800 amp/hour battery bank. When the two units are linked together you have a great charging system. You get all the features of each stand alone unit. Together, the combination turns into a 140 AMP charging system. It will trickle charge the starter battery from a solar panel, auxiliary battery or a combination of both. A minimum of a 100 amp/hour battery bank is required but the system can handle up to an 800 amp/hour. It has full battery temperature monitoring for charge rate. The Smartpass120 is capable of a 350 AMP, 10 second burst back to the starter battery. To fully utilise this function you need a minimum cable size of 0B&S (275AMP) between the starter battery and the Smartpass120 and between the Smartpass120 and the auxiliary batteries. We linked the CTEK D250SA and Smartpass120 together. Has it’s own solar MPPT regulator. 22+ volts straight from the solar panel (no regulator) to the D250SA minimising current loss. Will charge auxiliary batteries in a much reduced period of time. We are so impressed with this combination already. It is perfect for charging our RPA batteries, as well as phones, laptops and cameras. We would highly recommend this system for anybody who has serious power requirements when travelling. This post is written in accordance with our Disclosure Policy. Hi Nick, Wiring for an AGM battery changes the D250SA’s charging cycle to 14.7 volts instead of 14.4. A higher charging rate for AGM batteries is required to take full advantage of the batteries technology. It is as simple as hooking up the black wire from the D250SA to earth. When multiple batteries are linked up, you only need to connect the CTek to one of the batteries, and it will look after them all. It will charge up to a 500ah battery bank with ease.